When I moved to Alabama I quickly became friends with the local young single adults in my church. Thanks to this quick friendship I have been blessed to have a lot of new experiences. One of the best of these has been going to the beach down in gulf shores. Rachel Norris and Drew Downs (who were engaged) asked me to do a small shoot for them while there. Though I didn’t have the lens I wanted nor had I ever shot on the beach, the opportunity was too good to pass up. Rachel and Drew were a wonderful couple to work with. Their enthusiasm, energy, and joy was contagious. We had a blast as we did the impromptu shoot right after church. The weather was temperate, the water just a little cool, and the sand a brilliant clean white. 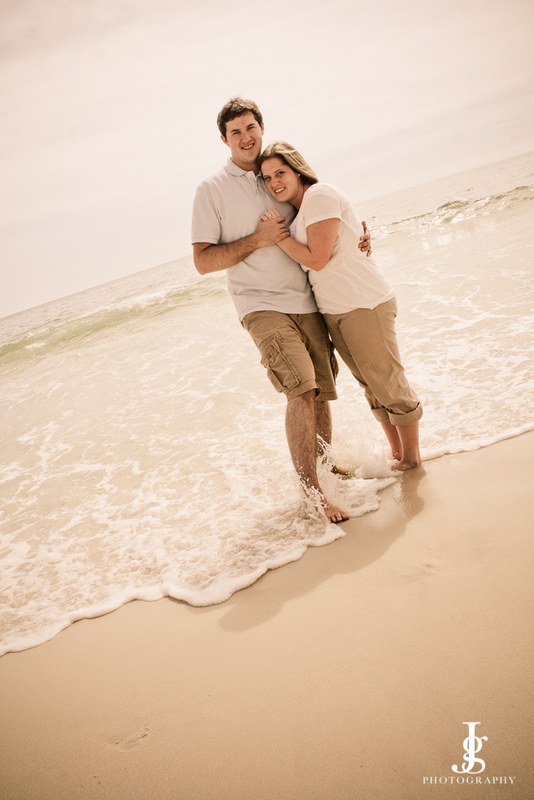 Shooting on the beach proved a great learning opportunity for me. I discovered how important it was to watch the harsh horizon line of the ocean, as well as the looming cityscape when looking away from the ocean. I had to be constantly aware of the people walking behind the couple I was shooting, and I had to make sure the sun wasn’t glaring in their eyes so they wouldn’t squint. Timing the water just right as it rolled in and out was another new skill I had to quickly develop because Rachel did not like being in the water more than she had too (it was cold.) Instead of rambling further I think I will let the photographs speak for themselves. Hmmmm… I believe you have just proven that you are more than qualified to come to Colorado around July 30th and shoot a super good looking couple as they embark on their new life together as husband and wife! Haha!!! Jared, these are great!